Liverpool’s central defensive partnership could be decided for Jurgen Klopp ahead of Monday’s trip to face Swansea City. 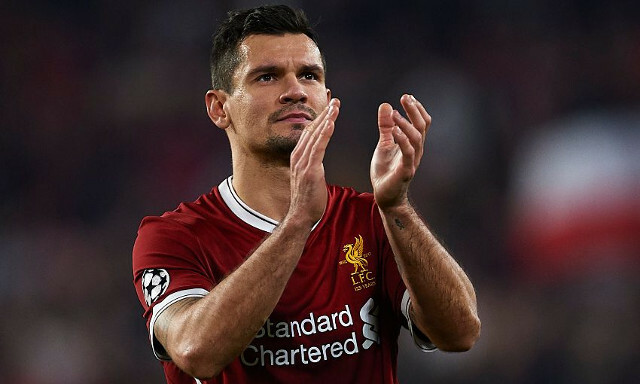 The Reds could be without Ragnar Klavan and Dejan Lovren, with both having seemingly missed Friday’s training session. Neither were spotted in the official club website’s photos from the session after Klopp confirmed in his press conference that they had also been absent earlier during the week. Virgil van Dijk looks set to make his Premier League debut for Liverpool after missing last week’s 4-3 win over Manchester City due to a minor knock. The Dutchman’s only outing since his £75million move from Southampton came in the 2-1 FA Cup win over Everton, in which he scored a dramatic late winner. He’s expected to line up alongside Joel Matip at the Liberty Stadium on Monday night as the Reds look to extend their unbeaten run to 19 games in all competitions. Ben Woodburn could also become interesting team news, with the teenager having missed the U23s game against Charlton Athletic on Sunday and subsequently been tipped to be part of the first team squad. The Welshman had looked set to join Sunderland on loan this month, but Klopp has since opted to keep him on Merseyside following the departure of Philippe Coutinho.